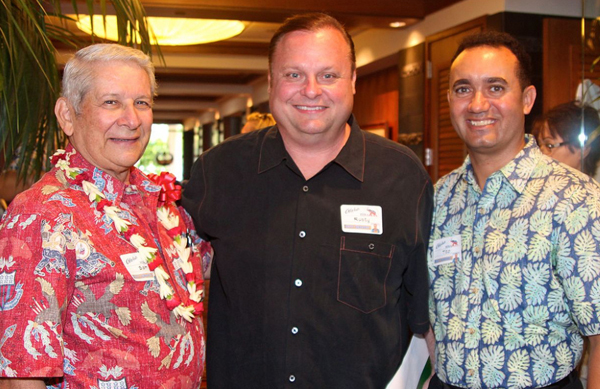 Honolulu, Hawaii-- Nationally syndicated conservative talk radio star Rusty Humphries, heard on more than 300 stations nationwide each day, was the featured speaker at a luncheon co-sponsored by the Hawaii Republican Assembly and Smart Business Hawaii today at the Waialae Country Club. More than 100 island conservatives from across Oahu came together to hear Humphries’ challenge to end the reign of liberal Democrats after fifty years of failure in Hawaii. Humphries donated his time and traveled to Hawaii on his own dime in order to help the Hawaii Republican Assembly raise money for its campaign to raise awareness of the failed record of the Democratic political stranglehold on county, state and federal policymaking.